DRECP under review in an effort to alleviate burdens on energy development. Finalized in 2016, the DRECP established a framework to streamline permitting for renewable energy projects on public lands in the California Mojave and Colorado/Sonoran desert region. 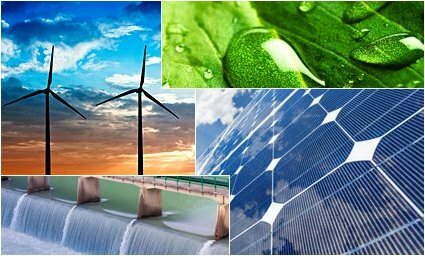 The DRECP covers renewable energy development activities, including solar, wind, and geothermal projects, as well as transmission facilities that service renewable energy projects. As discussed in a previous post, concerns from local agencies, industry, and environmental groups caused state and federal agencies to narrow DRECP’s focus to public lands only. The corresponding Land Use Plan Amendment (LUPA), issued when the DRECP was finalized, affects land use planning decisions for all of the 10.8 million acres of federal lands within the 22 million total acres covered under the DRECP. The LUPA set aside certain BLM-managed lands for conservation and recreation, and identified priority areas for renewable energy development. As detailed in a prior post, the approved LUPA designates 388,000 acres of Development Focus Areas, which are lands identified as having high-quality solar, wind, and geothermal energy potential and access to transmission. In addition to Development Focus Areas, the approved LUPA designates: 40,000 acres of Variance Process Lands for renewable energy development; approximately 6.5 million acres for conservation; approximately 3.6 million acres for recreation; and 419,000 acres of General Public Lands, which lack a specific land allocation or designation. A land use plan amendment is needed to develop renewable energy in General Public Lands areas. The February 2 notice initiated a public scoping period for potential amendments to the DRECP and associated National Environmental Policy Act (NEPA) documents. Accordingly, BLM announced that it will hold eight public scoping meetings in the following California cities: Lone Pine; Ridgecrest; Hesperia; El Centro; Sacramento; Bakersfield; and Palm Desert. The public scoping period will close on March 22, 2018, 15 days after the last public meeting. In addition, BLM is reopening the DRECP in response to EO 13281, “Streamlining and Expediting Requests to Locate Broadband Facilities in Rural America,” which was signed on January 8, 2018. Accordingly, BLM is seeking comments on potential impacts of land use designations, land disturbance limits, and visual management classifications on the deployment of future communications infrastructure. Although BLM is taking comments on whether the DRECP should be amended, any such amendments would take time and would likely require new environmental analysis under NEPA. Indeed, the notice of intent states that it “initiates the public scoping process for the potential plan amendments and associated [NEPA] documents.” Moreover, any proposed amendments likely will be controversial and may face opposition, as the BLM’s approval of the DRECP finalized in 2016 was eight years in the making. Latham & Watkins issued a November 2017 Client Alert discussing the US Department of Interior (DOI) and US Forest Service’s reports under EO 13783, and the effect certain other existing federal regulations and policies may have on the energy industry. As discussed in a previous post, a similar DOI report also identified burdens to energy development on US tribal lands. The recent reopening of the DRECP appears to be in line with these and other federal efforts intended to reduce regulatory burdens on the energy industry.